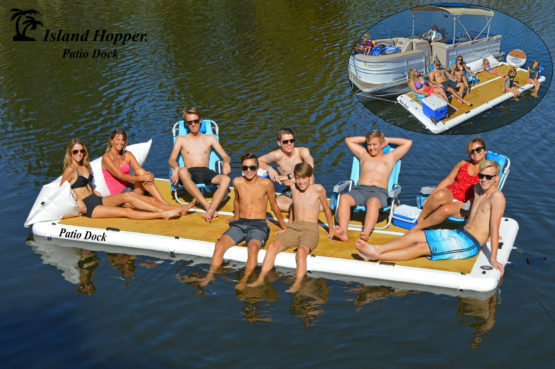 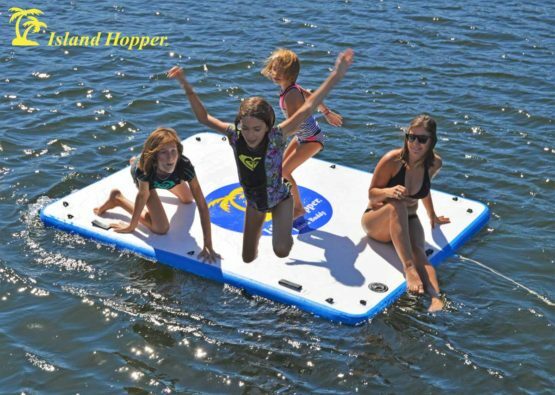 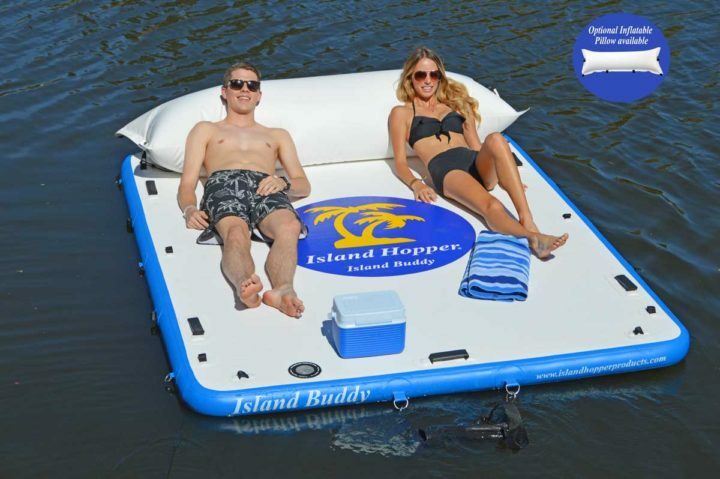 The Island Buddy Water Platform & Dock is a super buoyant, ridged, inflatable water platform. 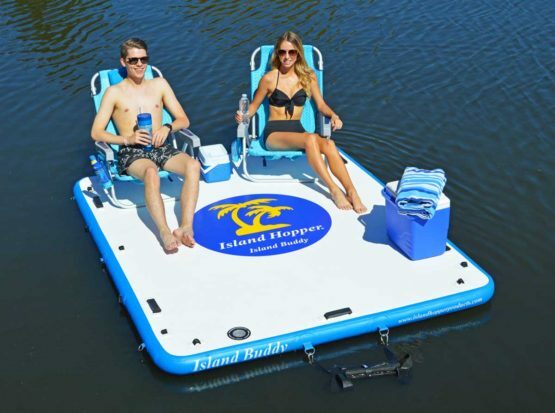 This swimming platform can be used in conjunction with your boat to make a patio area for sunbathing, swim play, wakeboard and tube launching, or any number of water activities. 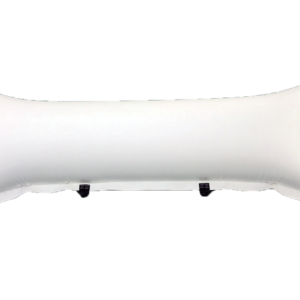 Holds 1000 lbs. 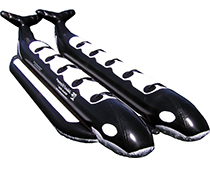 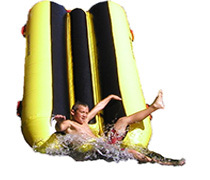 Inflates/deflates in 8 minutes and slows down to a manageable 36″ x 12″ size. 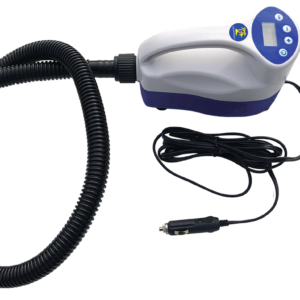 Includes PSI double action hand pump. 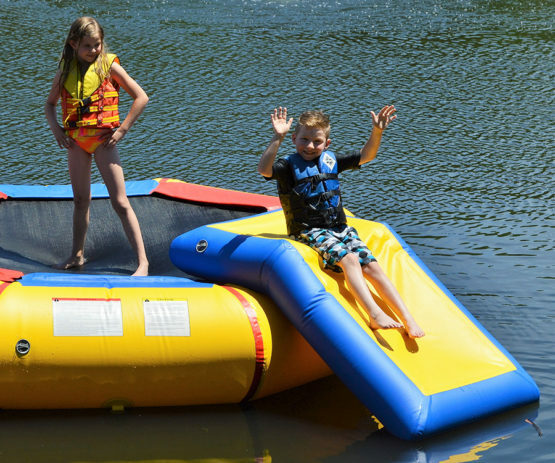 The Island Buddy Water Swim Platform is a super buoyant, ridged, inflatable water platform. 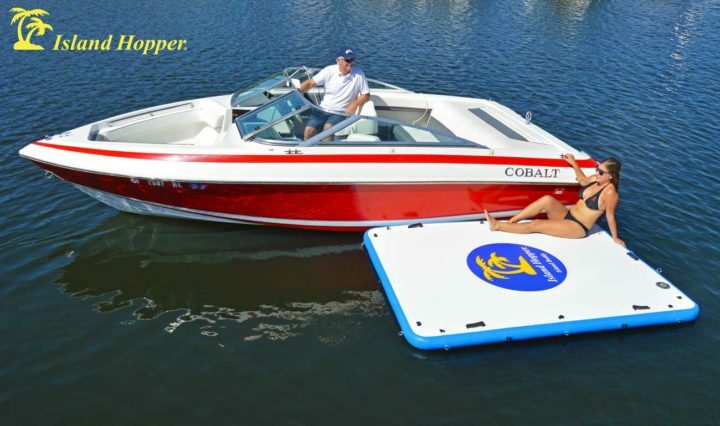 This swimming platform can be used in conjunction with your boat and inflated in minutes to make a patio area for sun bathing, swim play, wakeboard and tube launching, or any number of water activities. 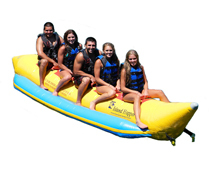 The Island Buddy is the perfect portable size at 8’ x 6’ to be used by 4 to 6 people. 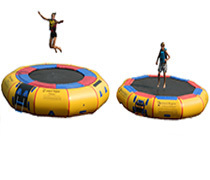 Substantially holding over 1000 pounds without worry! Each platform has 11 side welded stainless steel d-rings to tie off and anchor securely. 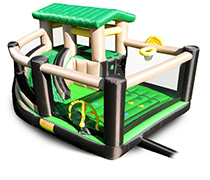 You can also fit multiple units together to make an extended platform in any number of configurations. 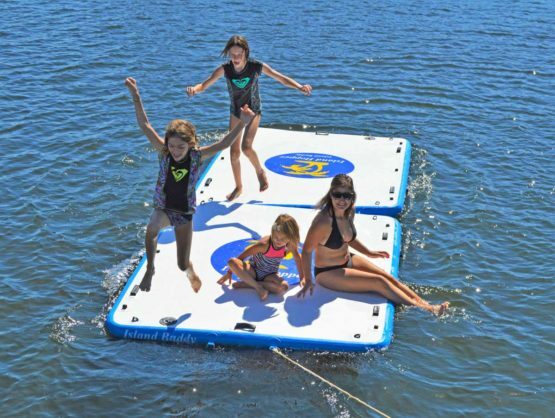 On top are 8 web-loops for tying down your ice chests, lounge chairs, paddle boards, and water toys. Also available and sold separately is Island Hopper’s exclusive inflatable pillow. Made from commercially rated 1500 denier drop stitch material and built with heat welded seams to top boating industry standards. Island Hopper offers our customers a commercial industry best 5 year “No Blow Out” limited warranty. 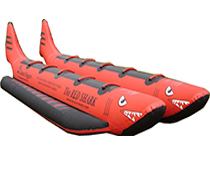 Extremely rigid and buoyant commercial drop stitch construction with HEAT WELDED seams. 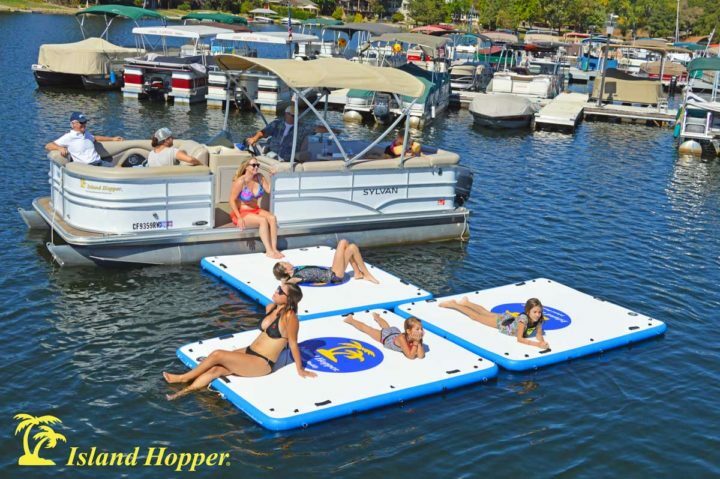 Inflates in minutes on your boat, weighs only 30 lbs. 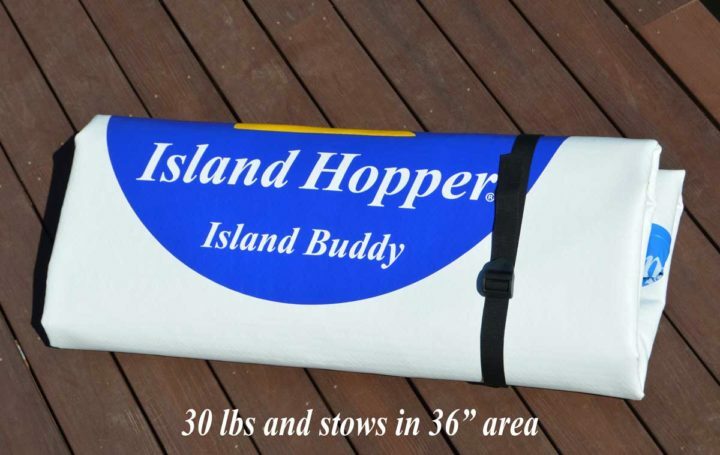 and stows in a small 36” area. 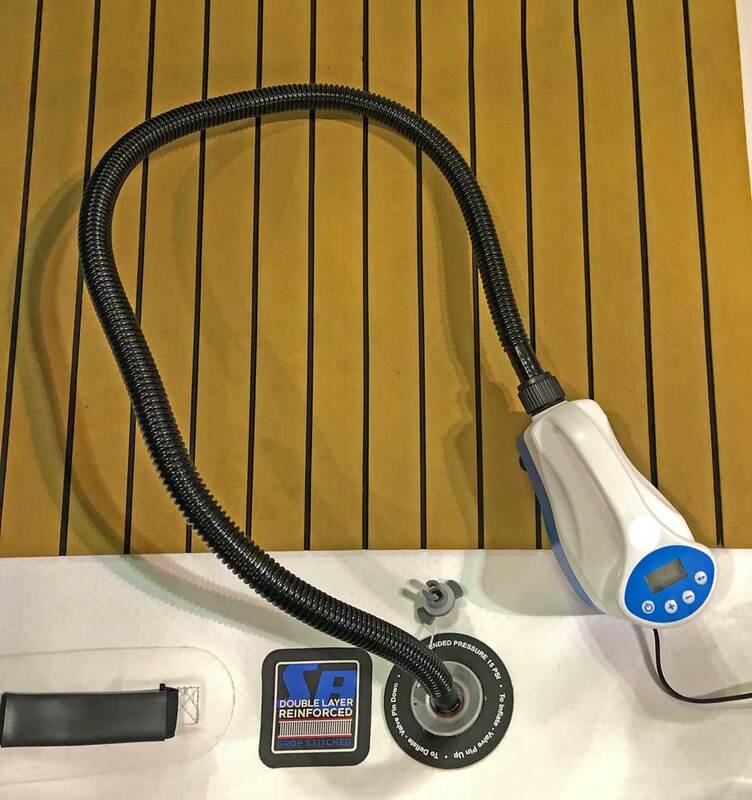 Easily secures to the side of any boat and can be stored on a bimini top, once inflated. 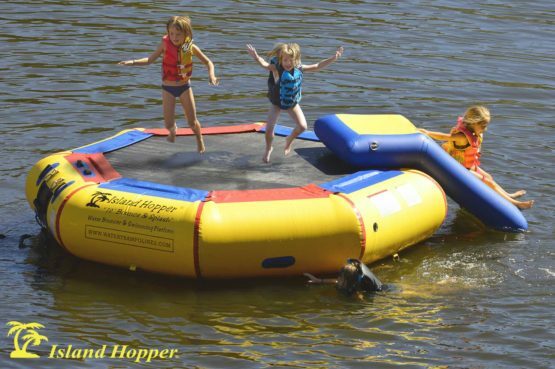 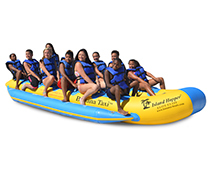 Island Bouncer Slide was designed as specifically for Island Hopper water bouncers.The perfect size slide for your kid's to have a great time in the water. 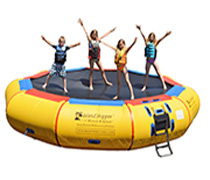 The 10’ Bounce-N-Splash padded water bouncer Water Park was designed for kids and an take hard recreational use. 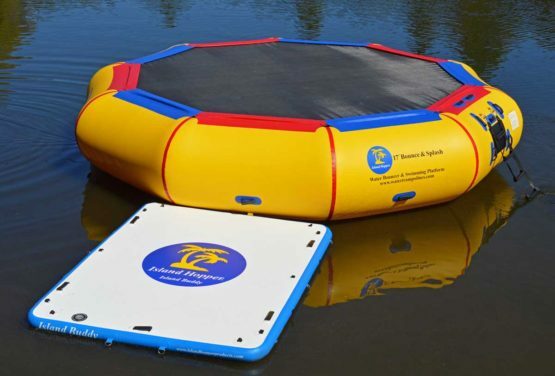 This product has the same high quality reinforced materials that go into all Island Hopper® water trampolines and bouncers. 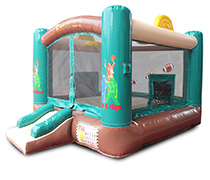 This manageable 10' size is perfect for kids to bounce on and for adults who are just into lounging. 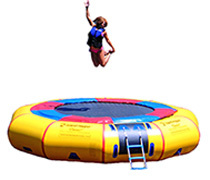 The spring-less, interlaced nylon webbing "bouncer" design uses tube flex features to give the user a short enjoyable "bouncer" lift. 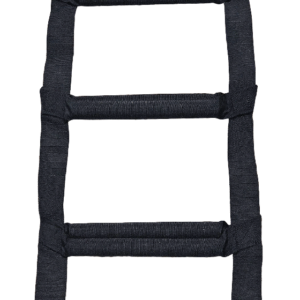 4 step "easy access" ladder makes this a perfect product to turn a pond into a swim area or to throw on the boat and inflate at your favorite anchoring spot.